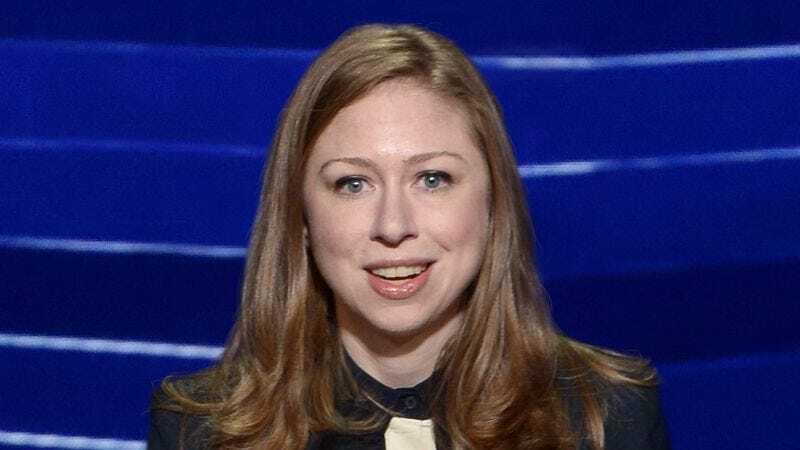 PHILADELPHIA—Tasked with introducing presidential nominee Hillary Clinton to the stage on the final night of the Democratic National Convention, Chelsea Clinton declared to voters Thursday that her mother would shape the country into a strong, independent young woman. “As president, my mother will work tirelessly to help this nation become the smart, confident, self-assured young lady she always knew it could be,” said Clinton, adding that her mother would ensure that the United States was an emotionally and mentally strong female never afraid to pursue her dreams, no matter how lofty or seemingly difficult they were to achieve. “Hillary Clinton will always be there to provide support and encouragement so America feels empowered to speak up in a room full of men and doesn’t need the validation of strangers to feel comfortable in her own skin. No one is more qualified than my mother to guide this country on the journey to becoming a truly remarkable young woman.” Clinton added that her mother would also do everything in her power to help the nation deal with going through all of these scary changes.